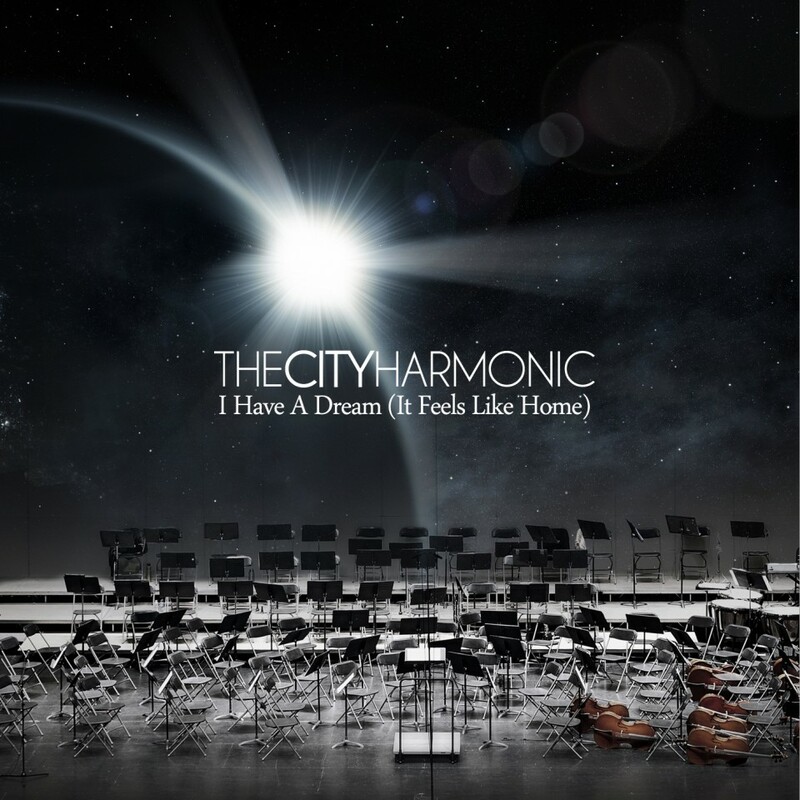 Back in November of 2010, The City Harmonic released their critically-acclaimed Introducing The City Harmonic EP. Delighting fans with their orchestral rock, The City Harmonic broke through Christian radio with “Manifesto,” a blockbuster track based on several statements of the Christian faith, including the Apostles’ Creed and the Lord’s Prayer. And besides uniting Christians through the radio single, they also talked openly about looking forward to the day when we will see Christ and all will be restored. Now the Ontario, Canada-based group, The City Harmonic returns with their full-length debut on Kingsway Records, I Have a Dream (It Feels Like Home). Continuing the message of looking forward to heaven full force, I Have a Dream is a gorgeous album with eleven all-new songs. For me personally, this was my most anticipated album of 2011, and it in no wise let me down. A strong track of complete surrender titled “Yours” opens up The City Harmonic’s I Have a Dream album on a wonderful note. Immediately noticeable is lead singer Elias Dummer’s excellent vocals, both soft and strong. Beginning with soft strokes of piano comes “Spark,” a definite highlight off this album from The City Harmonic. Speaking of how just a spark from God can change our hearts, the lyrics definitely make you think: “Could a spark of Your love light the whole Church on fire?/ When we care for our neighbour more than we care for style?/ When we breathe in hope, and breathe in grace, breathe in God/ Yeah we’ll breathe out peace, breathe out justice, breathe out love.” Also a highlight about this track is it’s phenomenal musical arrangement! At the end of “Spark,” we hear an audio clip from Martin Luther King, Jr., about reaching the promised land. It leads into the excellent track “Mountaintop,” (the most upbeat track so far on the record), a reminder that wherever we are, in the valley low or the mountaintop, God is there, and that we are the body of Christ. “Fell Apart” is slower and heavenly, and definitely a touching track. My personal favorite off I Have a Dream, “Fell Apart” speaks of being totally broken and needing the Creator to put back the pieces. With the best of The City Harmonic’s lyrics I’ve seen yet, this track puts together passages of Scripture excellently, and again Elias’ flexible vocals are a standout making for an absolutely stunning and perfect track. “Be Still, O My Soul” is composed mostly of piano and high vocals, very serene and worshipful speaking to the soul in a command to praise the Lord at all times. The way it quickly builds is simply outstanding. Based on Ephesians 5:14, “Wake Me,” a very serious track but fun musically, is a prayer that God would awake us from our sleeping state and shine His light in our hearts: “’Cause when You shine/ You bring to light/ even the darkest of nights/ Wake me up to shine.” As can be seen, the lyrics are amazing, especially the line that makes the listener smile: “If home is where the heart is, mine’s in the hands of God.” The choral effects that made up the hit track “Manifesto” reappear in this track, which is sure to be a hit with the listeners. “Love” is an excellent combination of 1 Corinthians 13 with the reminder that God is love, and is an emotionally-driven track with a subtle country background. “Holy (Wedding Day)” is very serene, speaking of that great wedding day, and is a simple song of adoration and praise. I imagine that as wonderful as this track is, it probably sounds something like it will when we sing “holy, holy, holy is the Lord God Almighty, Who was, and is, and is to come.” Finally, “Benediction,” less than two minutes long, closes I Have a Dream, a perfect closing, sending peace and grace along with the listener. 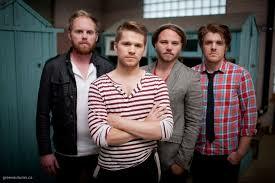 All in all, The City Harmonic’s debut full length I Have a Dream is superb! The Scripturally-rich lyrics, the heavenly sentiment and gorgeous music, plus Elias’ amazing vocals combine to form a perfect album, one that you will find on repeat. You can’t help but connect to the personal and deep messages of The City Harmonic’s music. Definitely deserving of a five-star rating, the anticipated follow-up to their Introducing The City Harmonic EP was well worth the wait!! Outstanding review, Jay! Love it. Can't wait to hear this album myself. I just heard of this group and would love to discover their music. It is an album that I am looking forward to hearing and hopefully adding to my music collection. Great Blog!!! and Great Reviews!